If you pass by the Polish Embassy in Berlin you might notice that its front is covered with a huge banner like the ones used for buildings under renovation. On a red background with a white horizontal stripe is a photo taken by the well-known photographer Erazm Ciolek during the roundtable negotiations between the communist government and the opposition in 1989, along with the slogan, “It all started at the roundtable”. Apparently, the poster is meant to insinuate that the changes that eventually led to the reunification of Berlin started in Poland, thus stressing the importance of Poland for all of Europe. Berlin was chosen as the venue for this manifestation because the Berlin Wall dominated European symbolic imagery of the 1989 revolution in Polish opinion. Instead of stressing the inheritance of Solidarity and its protests, the creators of the banner decided to emphasize the importance of a compromise between the two parties. So it is doubtful whether anyone in Europe will pay any attention to this banner, let alone the slogan. After all, negotiations and compromises are something absolutely ordinary in contemporary Europe. While the Berlin heroes from twenty years earlier celebrate their glorious past, their Polish counterparts are calling for participation and debate among the young. What is missing is the call for a critical evaluation of those revolutionary events, including the roundtable negotiations and the heritage of peaceful change. The Polish memory of that change is still trapped in the framework of escaping from the East, and leaving the eastern heritage behind for the sake of a brighter western future dominated by the narrative of Solidarity. In actual fact, no other narrative exists, since a discussion among the “born free” generation about the meaning of those days has not yet happened, resulting in almost complete social amnesia about among today’s students. Generations whose careers were forged in the fire of democratic uprising are slowly stepping aside. In under a decade, the political arena will be filled with new young faces of the post-Solidarity generation. However, if an understanding the relation between the present and the past is necessary to form the future, the forthcoming change among the elites causes anxiety. To improve this situation one needs more than just public celebrations. History must be taught backwards, starting from the most recent events. Lech Walesa is unquestionably one of the culprits of the current situation. It was he who triggered the so-called “war at higher levels” (wojna na górze) and intentionally provoked a split within the victorious party. A never-ending process of lustration, with Walesa himself being the latest victim, has further deepened the destructive controversy. Nevertheless, even these two factors could be considered incidental if not for the third player: history classes in schools. History classes in Polish schools have always had a whiff of politics. Since people were unable to learn about politics within the official state structures during the Polish People’s Republic (PPR), they studied history on their own. This pursuit of history reflected a dream of independence, and historical narrative was used to map a route toward the nation’s political renaissance. The years of Soviet occupation were also times of official historical indoctrination. It was perfectly clear for the Soviet authorities that history exerted great symbolic force in creating a political space, and they did not hesitate to exploit it. The authorities never missed a chance to stress the allegedly everlasting conflicts with the Germans, the pre-Christian roots of Polish statehood, and all kinds of people’s resistance to the nobility and European monarchs. At the same time, Soviet-approved history magnified the common fate of Polish and Soviet armies during the Second World War, which eventually led to a rupture in historical continuity and established a new order. During the last twenty years, history schoolbooks and teaching methods have undergone significant changes. They stress the weight and position that Poland once held, positively describe the democratic mechanisms of the Polish nobility’s rule, and pay tribute to those who perished fighting against the “friendly” Red Army. But these amendments to history took so much time that events essential to understanding the present went unmentioned. High school students, overloaded with information, have only three years to discuss the heritage of the past and its consequences for the present. The lessons on responsibility for the country’s present have been shelved, while the Polish public sphere is fully occupied with political disputes over power, ignoring the roles of the PPR and Solidarity. Hannah Arendt once suggested establishing a unifying narrative between the past and the present as a remedy for a broken historical continuity. So why have we so carelessly broken with our most recent heritage when there is nothing else that has a bigger impact on our lives at present? It is worth mentioning that although a vast amount of material on the history of PPR and the roundtable was prepared by a number of newly established institutions, all of them sooner or later became the victims of the political struggle mentioned above. And what is more important, we have never really succeeded in establishing a common factual narrative to build an understanding of where we are now. The reasons for this failure are to be found in high schools, where there is never a place for a meaningful discussion of our recent history. Passers-by were often confused about the meaning of the banner. “Maybe it has something to do with the Warsaw Pact?” wondered 18-year-old Lara from North Rhine-Westphalia, Western Germany, in response to a question from a PAP correspondent. The indifference of Polish and German 20-year-olds to the changes principally concerns events in their own countries. The continent was united by the fall of the Wall, which symbolized the Cold War in Europe. 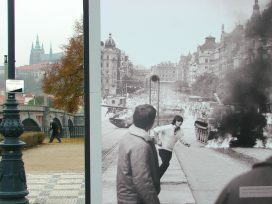 Tearing down the Wall brought a new understanding of what Europe is and what it is not. 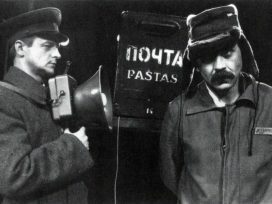 The change in perceptions of East and West allowed Poles to base their new identity on a different historical narrative. So the notion of Central Europe was brought back to fill in the gap between the East and the West. This new situation meant “an asymmetry of perception” and “an asymmetry of interests”, as Karl Schlögel3 describes the fascination of people from the East for what they perceived as western culture. Nineteen eighty-nine was the year of escaping from the East to the West in every possible way. 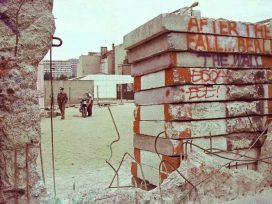 On the other hand, tearing down the Berlin Wall meant breaking with a past that the older generation would rather forget, and that the younger generation would consequently not be able to learn about. 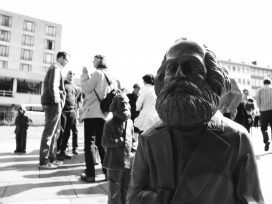 Public surveys in Poland and Germany show that university and high school students know nothing about the period of democratic changes and the preceding decades. We run towards the future and an imaginary West without defining our own identity. We build our self-esteem on a heritage that does not belong to us – at the cost of our eastern neighbours, from whom we wish to differ so much. I once witnessed an interesting interaction between a Belarusian woman and a Polish Border Guard at the Belarusian-Polish border in Terespol. A woman wishing to enter Poland did not have a Polish visa, so the officer started to ask questions. “I’m on my way to Berlin, I am only passing through Poland on my way to the West” the lady explained. The proud guard responded, “But you are not just entering Poland, you are entering Europe!” What a perfect illustration of how Poland, lost in the meanders of history, loses the chance to play its archetypical role of Europe’s bridge! The question of belonging to the East or West remains problematic for us. As a member of Nato and the European Union, we formally belong to the West. However, the West is not where our most recent cultural heritage derives, and the chances are it never will. On the other hand, Poland is not necessarily more strongly connected with the East because of its recent history. However if we let the memory of recent decades fade along with our own identity, then we will need to give it up completely in favour of either West or East. The asymmetry mentioned by Schlögel also is also reflected in history and memory. As he rightly notes, the same dates meant different things for people on the eastern and western sides of the Wall. Especially radical were the differences that served as tools for Soviet propaganda. For example, among many places where the Soviets murdered Polish officers was Katyn, a village in western Russia. 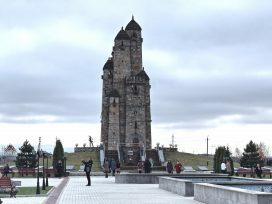 So Moscow built a memorial in a Belarusian village called Khatyn, where civilians were murdered by the Germans, thus spreading confusion and disorientation among the former Allies. Another example of contemporary memory games is the announcements on the Russian TV channel TV Rossija. 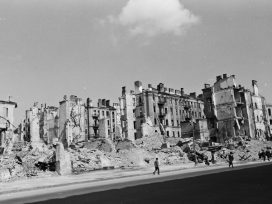 In a series of pseudo-historical programmes about the Second World War, Poland is presented as an aggressor against the Soviet Union and one of the initiators of the war. Yet, the facts about the war are not as crucial for contemporary memory as the history of democratic changes, because they form the basis for the present. The amnesia about the period of the fall of the Berlin Wall is a much bigger problem in Poland than in Germany. The two German states were parts of one temporarily broken unity. Poland does not have this comfort. Berlin and the uniting motif of the destroyed Iron Curtain have a strong appeal for the collective imagination of Europeans. For the collective memory of the continent, it is a more important symbol than the roundtable, a local Polish event. The facts about the PPR and Solidarity, and not only the round table, are missing in the public sphere and especially in schools. We let the generation that was the first to grow up without indoctrination escape from the necessity of maturity, which is so essential for combating the syndrome of living on the outskirts of Europe and restlessly chasing after the imaginary West. Yet it is not copycat fashion that decides whether we belong to Europe or not, but the responsible understanding of one’s present as a reference to the past. The crucial sense of our political community does not lurk in the facts and interpretations of the Second World War, but rather in the broken historical continuity validated by the roundtable negotiations. That is why we should change our teaching methods in history classes. Teachers, earlier discouraged from teaching the PPR history, should be obliged to teach the history of the last 50 years backwards, starting from 1989. Let’s start talking about this inverted history from the first year of high school. Let’s confront of the necessity of answering the questions posed by the generation that enters the public sphere as a tabula rasa. We should not let students forget that every fact they scrutinize during their history classes has its influence on the present. The role of history classes is to connect the past with the present and to dissolve the dividing line between the East and the West. Václav Havel "The Power of the Powerless" 1978. 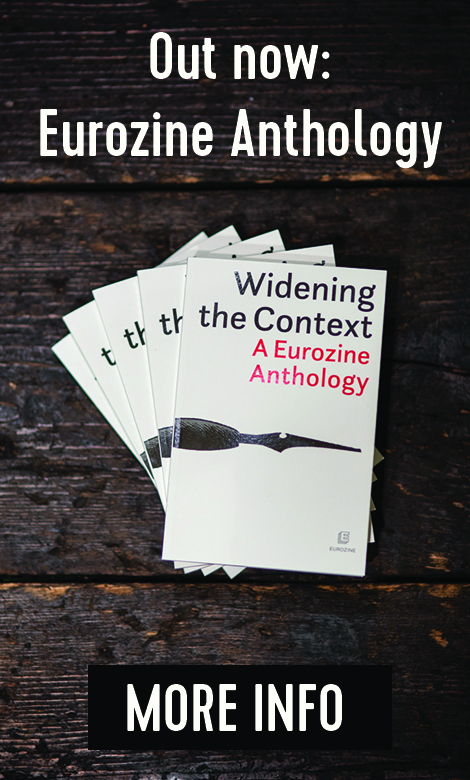 Karl Schlögel, "Places and strata of memory", in Eurozine www.eurozine.com. First published as "Orte und Schichten der Erinnerung", in Osteuropa 6/2008.